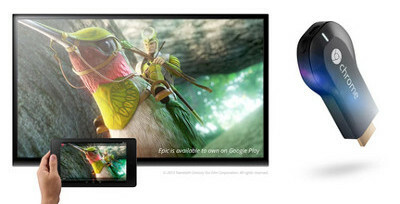 Currys & PC World listed Google Chromecast in their website yesterday, ahead of the product launch. They are also selling the device for £30 with free shipping. This could be your cheapest option if you want one. Only American users have been using the Chromecast device since last year. Though there were some flaws from Google’s partners side, which enabled the device to ship globally. When they realised, they pulled the plug and stopped further. Later, some third-party seller started selling the dongle on eBay for £35.